Whenever you wander in a garden or wild flowers in nature, chances are, you will see bees working on the flowers. It is a beautiful picture we are all familiar with since when we were little kids: the buzz, the black and yellow beeline, the flying, from one flower to another. It is not just a picture to enjoy, those little bees actually create huge values for us when they are busy feeding on the flowers. Bees visit flowers for their pollen and nectar, which are their food, just like bread and meat are our food. In the process, bees transfer pollen, produced by the male part of a flower, to the female part, enabling fertilization to take place. With successful fertilization, seeds are produced, allowing the next generation of the plant to grow and reproduce. For fruit trees, since the seeds are surrounded by fruit, the fertilization also will result in fruit. Without pollination and subsequent fertilization, the trees will not bear fruits. As you can see, bees are extremely important for so many things we use in daily life. Wearing a pair of cotton jean? Give thanks to bees, as they are the ones that pollinate the cotton crop. Ate an apple today? Thanks to bees again for pollinating the tree. Bees pollinate 75% of world’s main crops. 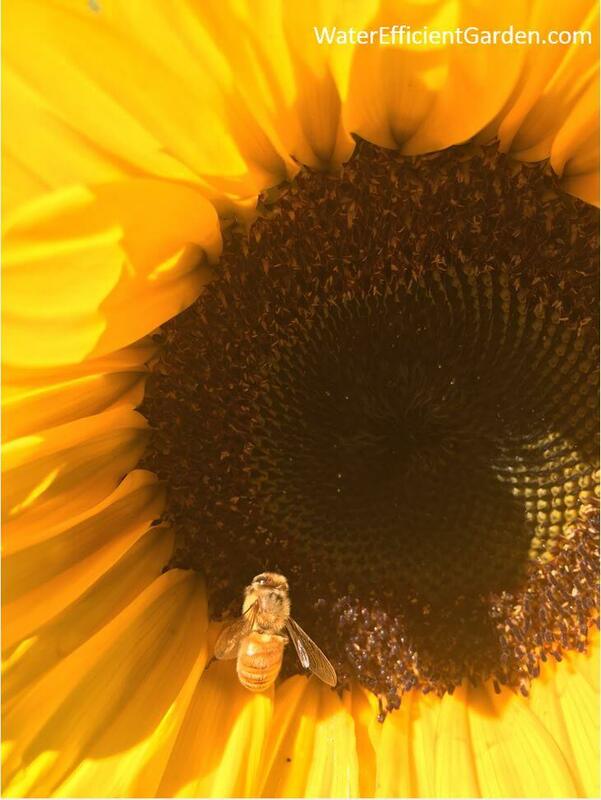 According to USDA, bees pollinate an estimated $15 billion or more of American crops per year. It is hard to imagine a world without the bees pollinating all those crops! For something so important for us, unfortunately, the bee’s population has been on a decline. 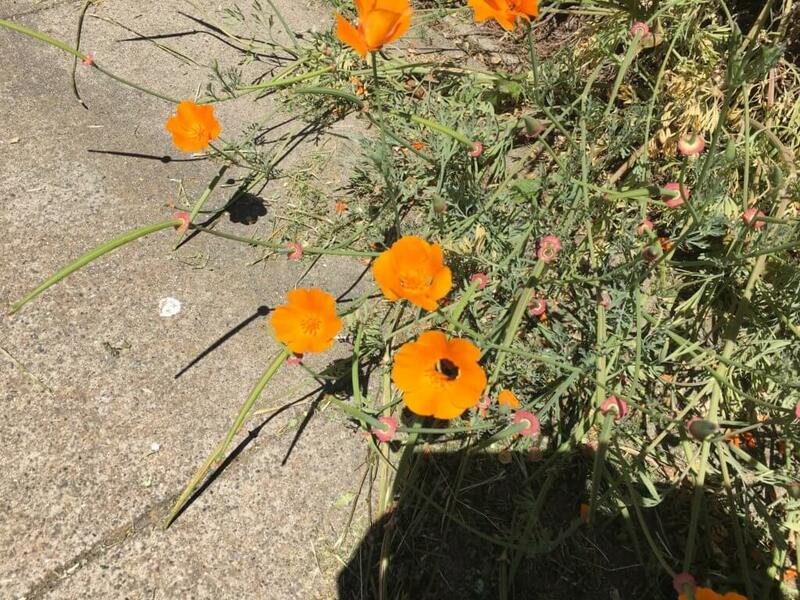 While we are not sure of the main cause yet, the loss of the habitat, pesticides, disease, and climate change (mismatch of the timing of flowers and when the bees need them) may all have played some role. One thing we can all do to help out the bees is grow plants in our garden that bees like and can visit all year round. That can offset the loss of their habitat, and provide them the food when they need them. 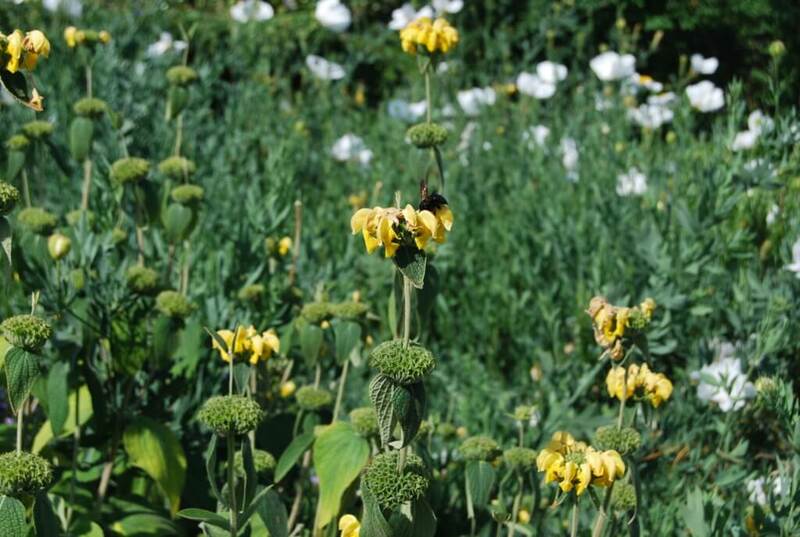 If enough such plants are grown in our gardens, hopefully it can stem the bee’s decline and restore their population to close to previous levels. 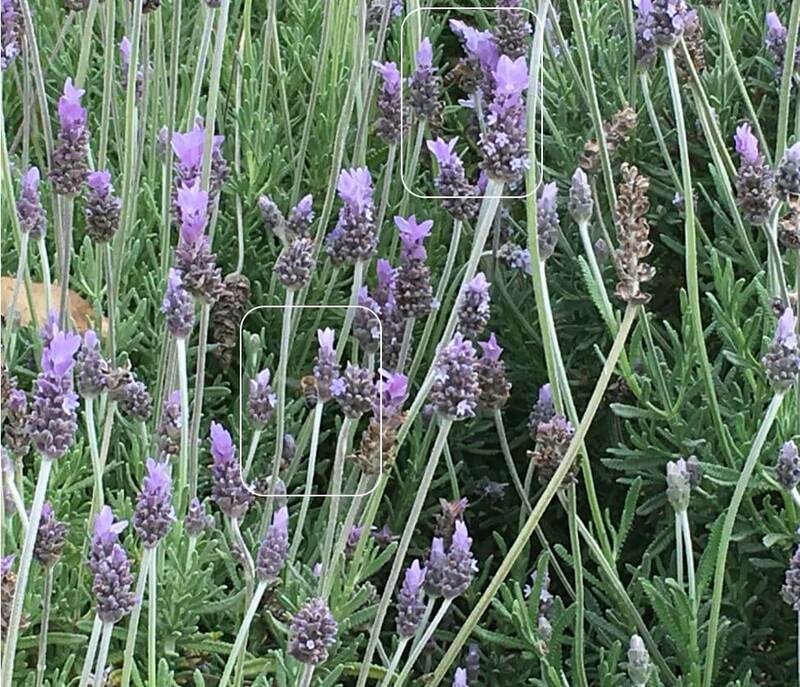 These plants are the ones that bees like. They are all magnets for bees. 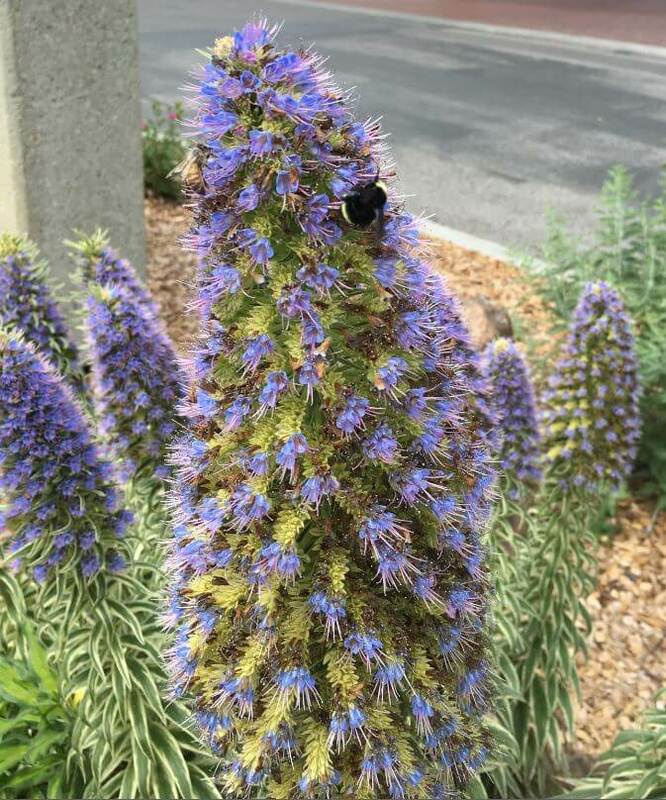 Good news is, not only do the bees love them, they are also very drought tolerant – they all qualify for Santa Clara Water District’s Rebate Program. 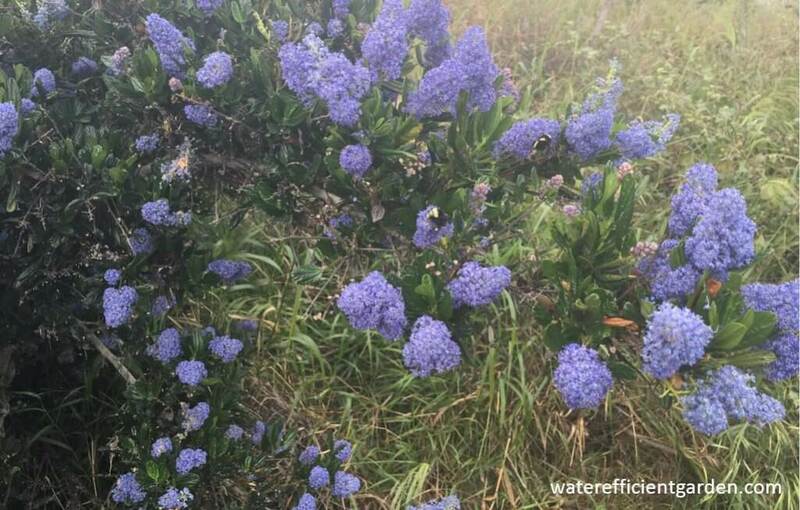 By planting them, you will not only help the bees, but also conserve water! 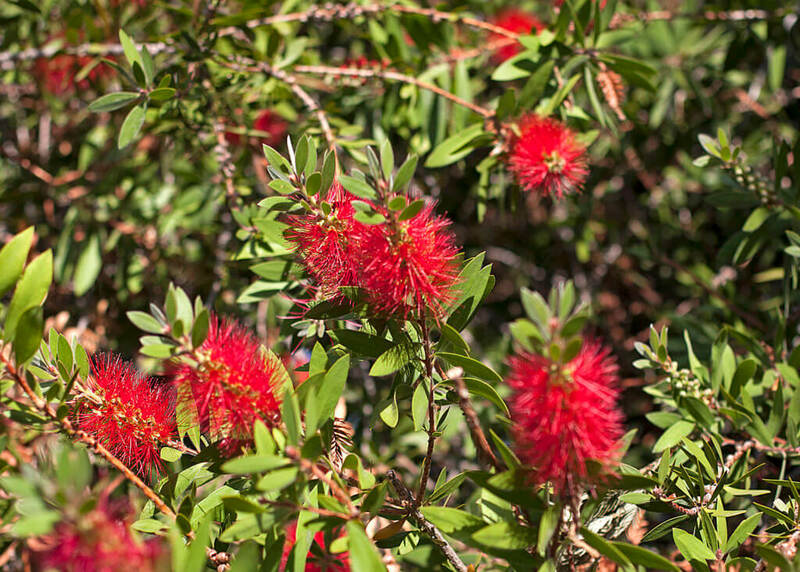 As we should continue to conserve water, and are encouraged to replace the lawn with drought tolerant plants, now is a good time to plant some of these beautiful plants. In summary, planting native plants will not only provide food to bees who badly need it, but also conserve water and add color and beauty to your yard. Happy planting! Next Next post: Water conservation: how did Californians do after mandate?